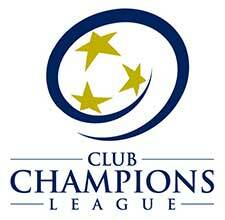 The LMVSC 2009 Girls Red team plays in the Club Champions League (CCL). Head Coach Fabien Lewis brings wealth of coaching and playing experience at all levels of the game. While playing youth soccer Fabien Lewis’ U-17 team in Trinidad and Tobago were FIFA Youth World Cup Qualifiers. In 2002 the team held the honor of becoming Olympic Soccer qualifiers. Fabien went on to study and play at George Mason University. His soccer career didn’t end there though. 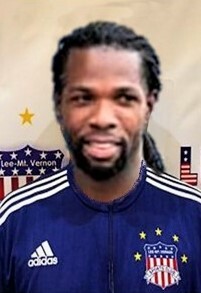 Throughout his 15 years of playing experience, he played professionally in the Philippines, Singapore, Puerto Rico, Trinidad, and the United States. At the age of 28, while still playing professionally, Lewis was already gravitating toward coaching. While playing, he had successfully obtained several coaching licenses from US Soccer, currently holding his USSF “B”, USSF National Youth License and a USC/NSCAA Goalkeeping Level 1 Diploma. During his career, Fabien has served as the Head Coach & Coaching Education Instructor with the VYSA Olympic Development Program, as well as Head Coach of the Kaya Futbol Club of the Philippines Football League. Fabien’s love for the game inspires those around him. His effective communication and leadership skills will allow our players to develop to their highest potential, both on and off the field. Fabien has been coaching in the youth game for a number of years and connects well with players at every level. His meticulous planning, energetic character and coaching style will help lead LMVSC to build a solid foundation from our youngest age groups. He continues to improve his skills and soccer knowledge while currently working towards receiving his “A” License.